You can offer mobile tickets for your events. When you create your event, in the TICKETING section as part of the Digital Delivery choice, you'll see an option for Mobile Ticketing. 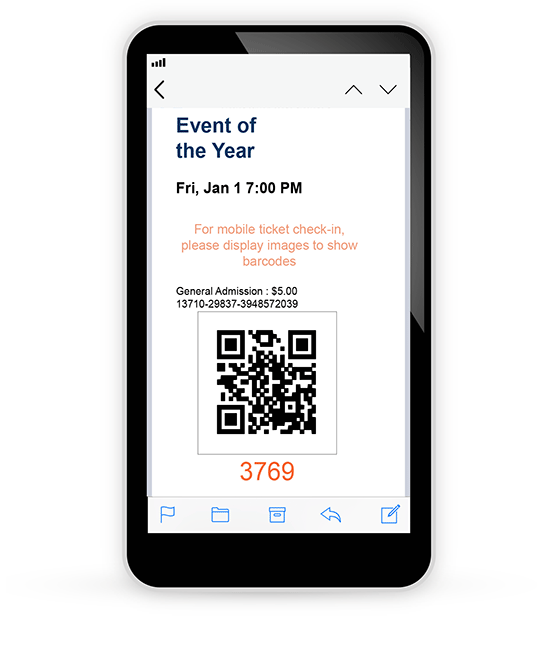 When ticket buyers receive their confirmation email containing their tickets, a scannable QR code will appear next to the details for each ticket in the body of the email. No printing required. Quickly scan tickets and check in attendees using your Android device! Mule Deer Foundation makes it easy to turn your Android device into a ticket scanner. With Android, there's no need to install an app. Simply login to Mule Deer Foundation on your web browser, click Manage Events, and select the guest list for your event. To scan tickets, select the scanner option from the guest list and get started. If you don't want to scan tickets, or are checking in will-call guests, you may also check them in without the scanner. Just search for the attendee name on the guest list and tap to check them in. Either way, the guest list updates instantly. Eliminate lines at the door by checking in guests from multiple devices at the same time. Try our demo to test your mobile device and preview how it works. Scan and validate print-at-home tickets using Mule Deer Foundation's mobile Check In app for iOS. The app supports multiple devices scanning simultaneously, and works great got smaller events. To reduce lines for larger events we recommend using the mobile guest list in your browser (no scanner) rather than the app. To do that, login to Mule Deer Foundation on your mobile browser, click Manage Events, select the guest list for your event, and tap to check in attendees. Scan and validate tickets. Syncs with multiple devices. Great for smaller events. The fastest way to check-in guests (no scanner required). Syncs with multiple devices. Recommended for larger events to reduce lines at the door. 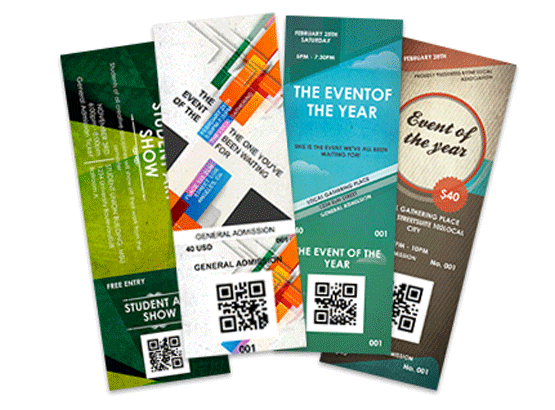 Create souvenir quality printed tickets for your event. Browse a huge selection of designs and customize for your event. Each ticket will include a unique barcode that can be scanned and validated for entry on your mobile device. We print and ship tickets directly to you. Complement your online sales efforts by selling tickets in person or through local vendors (offline) prior to the event. Alternatively, you can set a portion of your printed tickets aside and issue them to attendees at the venue will-call gate.